Hardcover in good condition. Black and white frontispiece with tissue and 5 other illustrations printed on different paper. 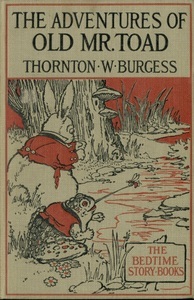 List of other books by author before title page. "12" in pencil in top-right corner of FFEP, small gold "Smith's Book Stores" sticker on inside back cover. 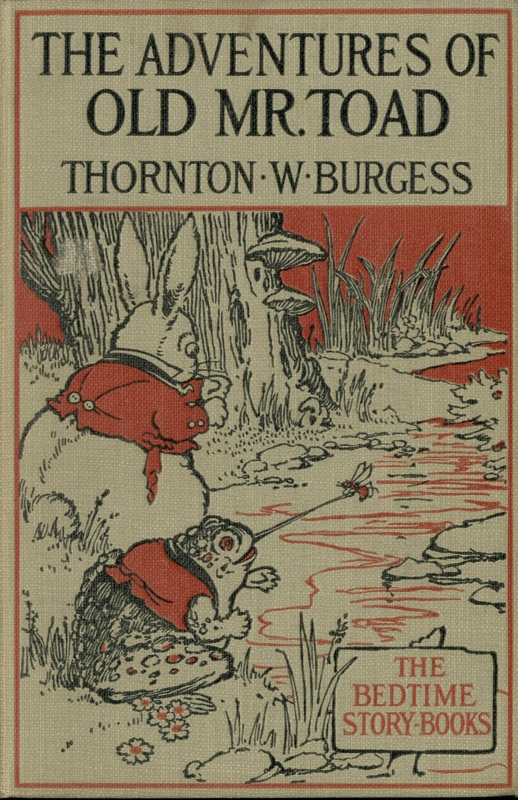 Burgess, Thornton W. (Thornton Waldo), 1874-1965 and Cady, Harrison, 1877-1970 (Illustrator), The Adventures of Old Mr. Toad, Boston: Little, Brown and Company, 1918, Children's Literature Archive, accessed April 24, 2019, http://childrenslit.library.ryerson.ca/items/show/8722.